Can you imagine a more wonderful setting to begin a marriage than the beach? Natural beauty surrounds you, with waves crashing in the distance and the bluest skies above you. And if you’re looking for an eco-friendly wedding, you’re in luck! Our venues are the best choice for your green nuptials. You deserve a gorgeous wedding day, and to work with vendors that strive to make our planet a more beautiful place for your future together. Each of our venues are proud to be part of a sustainable movement in weddings and events. Our venues use environmentally friendly construction vendors, but we don’t stop there. We’ve installed lighting that is Sea Turtle friendly, and to keep plastics out of our waterways we’ve launched a “Skip the Straw” campaign. Don’t worry — if your guests need a straw, we have eco-friendly, biodegradable options. Even our to-go containers for leftover foods are bio-friendly! Imagine a wedding meal that is eco-friendly as well as delicious. We serve fresh “farm-to-fork” vegetables from our farm, reducing the large carbon footprint for transport, and no pesky pesticides that can wreak havoc on the ecosystem. Our seafood is locally sourced too, so you know you’re always getting the freshest ingredients for you and your wedding guests. Even our baked goods are made daily in our in-house kitchens. 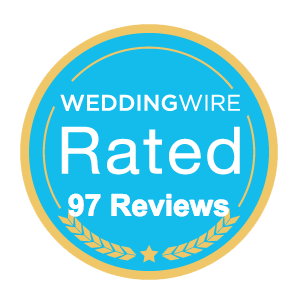 The Sandbar Wedding & Events Pavilion is located on the north end of Anna Maria Island and has been chosen by brides as The Knot’s Best of the Best for Ceremony and Reception Sites. With its private pavilion, romantic secluded environment, and sugar-sand beach setting, it’s easy to see why brides love getting married here. Located on the south end of Anna Maria Island, The Beach House Restaurant is also an award-winning location for beach weddings and receptions. It boasts one of the largest beachfront decks of any venue on Florida’s West Coast. Located on the bayside of North Longboat Key, Mar Vista Dockside offers a private dock, a quaint dining room, and an outdoor covered deck that overlooks Sarasota Bay. Part art studio, and part event venue, The Studio at Gulf and Pine offers an eclectic array of exhibits, while also giving you the opportunity to get married with your toes in the sand. The Studio also hosts art shows that benefit local non-profit companies to improve the area. Two of the programs their shows have supported are START, “Solutions To Avoid Red Tide,” and the Wildlife, Inc. Education & Rehabilitation Center. There is something extra special about knowing that your wedding vendors are doing their part to make this world a better place. We’re proud to offer venues that preserve and sustain the natural beauty of our area, and we believe the more we can do to protect our planet, the better. The next step? Picking your perfect beach wedding package.